Guest Author Francisco Varatojo – Director of the Macrobiotic Institute of Portugal, Francisco has been acknowledged for many years as one of the most qualified macrobiotic counselors and is regularly sought by major European centers for seminars and consultations. "I have been teaching in Portugal and many other countries about the importance of macrobiotics and a plant-based diet for more than 30 years and what happened on this day was like a 'dream come true!' I must confess that I never imagined it was possible to work officially on a joint event with the Ministry of Health or that I would discuss these topics with the Surgeon General about diet and health." 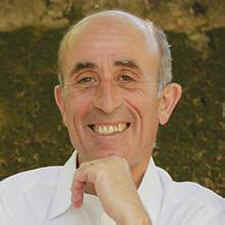 Francisco began studying Macrobiotics in 1977 and together with his wife Eugenia founded the Kushi Institute of Portugal, after having studied at the Kushi Institute in Boston. He is a professor at the Nursing School Calouste Gulbenkian. In 2010 he was awarded the Aveline Kushi Award for his work in the development of macrobiotics and establishment of health and peace.